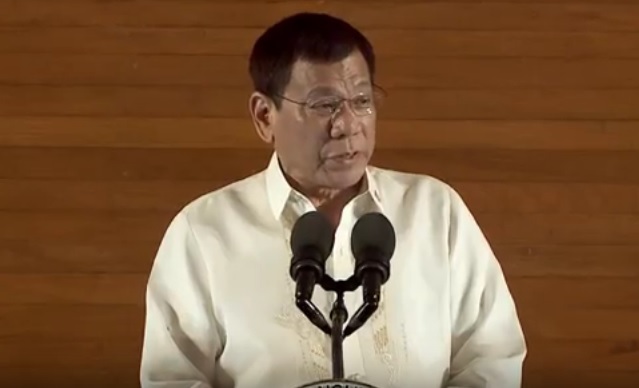 President Rodrigo Duterte delivered his first State of the Nation Address (SONA) on July 25. Now considered to be the longest first SONA in the history of Philippine presidency at 1 hour and 32 minutes, Duterte focused on suppressing criminality and on his dream of a lasting peace for the country. Duterte emphasized time and again how the drug menace is destroying the country. He cited that 2 years ago, the PDEA (Philippine Drug Enforcement Agency) estimated that there were about 3 million drug addicts in the country. We will not stop until the last drug lord, the last financier, ang the last pusher have surrendered or put behind bars or below the ground, if they so wish. He admitted though that the biggest fishes are in foreign lands, somewhere beyond the reach of the government. An Inter-Agency Commitee on Illegal Drugs,meanwhile, will be created and rehabilitation of drug users will also be prioritized. Human rights must work to uplift human dignity. But human rights cannot be used as a shield or an excuse to destroy the country- your country and my country. One of the major points in the SONA that was unexpected but was much-applauded was the President's announcement of " a unilateral ceasefire with the CPP/NPA/NDF effective immediately." Prior to such announcement, Duterte also reached out to the Muslim community to end "centuries of mistrust and warfare" and to the CPP/NPA/NDF to end decades of fighting. If we cannot as yet, love one another, then in God's name, let us not hate each other too much...We will strive to have a permanent and lasting peace before my term ends. That is my goal, that is my dream. Duterte assured the people that his government will be a clean government. "101 percent it will be clean," he reiterated. * On West Philippine Sea- respect and affirm the outcome of the case at the Permanent Court of Arbitration as important part of "ongoing efforts to pursue peaceful resolution and management of our disputes"
* Maintain a federal system of government. A parliament but with a president who will have limited powers. The president can be elected after the referendum on the federal system. Duterte was supposed to have a speech that will last only about 38 minutes as earlier hinted by Press Secretary Martin Andanar. But by straying from his prepared speech most of the time, Duterte stretched his SONA because of his adlibs and stories. We are imbued with resiliency that has been tested and proven in more difficult times as in the past. We have a bond to act together. We have to help each other, for then and only then, can we truly prevail. And this is the Filipino - disciplined, informed , involved; shall rise from the rubbles of sorrow and pain. So that all the mirrors in the world will reflect the face of a passion that has changed this land.